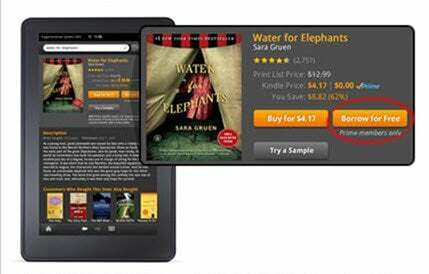 Do you own a Kindle device and belong to Amazon Prime? Good news! Amazon’s Lending Library Service allows you to read one free book each month. Details inside! 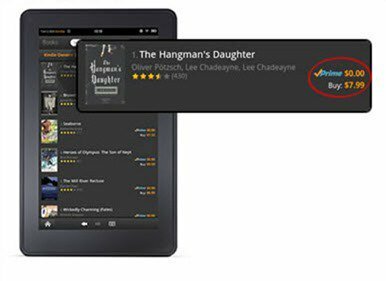 Amazon offers the Kindle Owners’ Lending Library for users of the Kindle or Kindle Fire eBook readers who are also members of the Amazon Prime service. The Lending Library offers over 800,000 books, and as a Prime member, you can borrow one book a month. Even with that mouthful of qualifications, it is a terrific service for anyone who loves to read and is just one more benefit for becoming a Prime member. Not familiar with Amazon Prime? Well, if you make much use of Amazon to mail books or other merchandise, or if you enjoy viewing their streaming movies and TV shows, Prime may be for you. In addition to the Lending Library, Prime includes free two-day mailing for eligible merchandise and a selection of movies and TV shows available to stream at no charge. Considering what you get, Amazon Prime is very reasonable at just $79 per year. And by the way, Prime membership benefits are available to you and your family members living together. Borrowing one of the books in the Lending Library is easy. 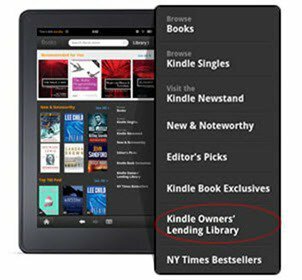 On the Kindle device, select Kindle Store from the home screen, then click on “see all categories…” to browse the Kindle Owners’ Lending Library. The process is much the same on the Kindle Fire. Books eligible for free lending are identified with a Prime badge in the search results. Once you’ve found your book, it is as simple as clicking on “Borrow for Free”. Once you’ve clicked, the book is downloaded to your Kindle and you are off and running. And if you already have a book on loan, the service will first give you the option to return the book already on loan or cancel the borrowing of the newer book. A sweet service? You bet. But there are limitations. You must own a Kindle; the service is not active for other tablets, smartphones or the computer-based Kindle reading software. And you must be a Prime member, and even very active readers are not likely to find enough value in the Lending Library to justify the Prime membership on the basis of the Lending Library alone. Which brings us to the service’s greatest shortcoming, and that is the selection of books. There are some great reads included, such as the complete Harry Potter collection and the popular history book, Guns, Germs and Steel. And there is considerable breadth in the library, from fiction to history to self-help and romance. But the library includes many books which lack general interest and in general, the Lending Library lacks depth in its selection. 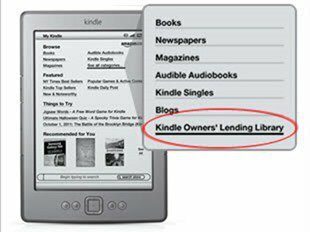 Still, if you are a Prime member and own a Kindle, be sure to check out the Lending Library. After all, who can argue with “free” books? I’m a HUGE fan of Amazon and Amazon Prime. Almost everythign I buy these days comes from Amazon because of the free two day shipping. What’s shocking for me is I never knew about the Lending Library Awesome FYI Mike. Thanks again! Yeah this is great info Mike! I had heard about this, but wan’t ever sure of how to use it exactly. I wonder if this works with Audio books as well? I also wish they would do a Instant Video Lending Library — for those new release movies you have to rent or buy that aren’t covered under your Prime Membership.